Stakeholders are individuals and businesses that see the value in the revitalization of downtown Enid and the importance promoting the quality of life in Enid by strengthening downtown as the center of the community. 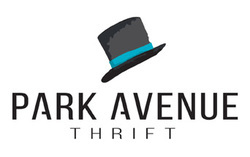 Each Stakeholder listed has donated $100 or more, all of which is matched by Park Avenue Thrift! They will match up to $30,000, so every contribution is doubled! Corbin & Merz Architects Inc.
your donation will be matched by Park Avenue Thrift! Donate here $100 or any amount! Donate here for ten monthly payments of $10.